Framingham, located in Middlesex County, Massachusetts, has spent time on CNN Money magazine's list of "Best Places to Live in the U.S." As of 2010, there were about 27,000 housing units there. If you are buying or selling real estate in the Framingham area, you can enlist a lawyer at Pulgini & Norton to handle the transaction and protect your interests. Unlike some other states, Massachusetts does not require sellers to voluntarily disclose a significant amount of information about a home to prospective buyers, although they must be honest when directly asked questions by a buyer or the buyer’s attorney. The seller must voluntarily disclose if the property has a septic tank or other private waste disposal system and state the condition of the system. These systems must be inspected within two years of selling the home or six months after the sale. The other important voluntary disclosure that sellers or brokers of homes that were built before 1978 must make involves lead paint hazards. When selling a pre-1978 home, a seller or the broker must provide a Property Transfer Lead Paint Notification package of lead dangers to prospective buyers before the signing of a purchase and sale agreement. They must also tell a prospective buyer about any information they have concerning lead in the home and provide the prospective buyer with a copy of any lead inspection reports, risk assessment reports, a Letter of Interim Control, or a Letter of Compliance. Under Massachusetts General Laws Chapter 112 Section 87YY, a real estate broker or salesperson must provide the buyer with a home inspection brochure when the first contract to purchase is signed. Moreover, a real estate broker is required to disclose those facts that would influence a prospective buyer not to buy. 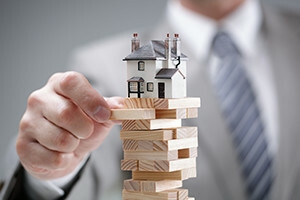 As a buyer, before you close a real estate deal, you should find out whether the home you are buying has any serious environmental or structural defects. A home inspector can visually observe the elements of the home and report on them. Home inspectors in Framingham must be licensed through the Board of Registration of Home Inspectors. This Board ensures that the licensed inspectors meet minimum inspection requirements when performing home inspections. Generally, home inspections are not technically detailed, and home inspectors may not notice allergens, surface soil conditions, or items that are inaccessible or underground. If your home inspector suspects that there is a structural defect but is not sure, you should retain a licensed structural engineer to take a look before closing the deal. One reason it is important to retain an attorney to represent your interests from the outset of your efforts to purchase a home is to make sure that all the paperwork includes terms that are favorable, or at least not adverse. For example, when you sign a standard Offer to Purchase Form, it will include contingencies related to inspections. However, this gives you only 5-10 days to get a home inspection. This may not be enough time under the circumstances. Moreover, if there is a defect requiring repair, the buyer and seller should have a written provision in their agreement that states who will do the repairs during an inspection period. It is important to specify within the agreement that licensed contractors will perform any necessary repairs and that whichever party completes them will provide evidence of completion before closing. For many people buying real estate, the purchase of a home is the biggest and most exciting transaction of their lives. It is important to pursue an advantageous deal and to understand the terms and conditions of your purchase, including your mortgage, so that you can enjoy your home for years to come without the threat of defects, clouded title, or other litigation. Framingham residents considering a home purchase or sale can consult the experienced attorneys at Pulgini & Norton. Call us at 781-843-2200 or contact us via our online form to set up a free consultation.